There are a lot of websites you can use for editing PDF Files, but some of them are proved best and easier rather than others. These websites have been discussed over here for the convenience of the users who need to edit their PDF files occasionally. So, let’s have a look what type of features these websites have for the users who want to edit PDF online. VeryPDF is another wonderful online PDF editing website that gives you ease of editing any PDF file exists in your system and even the file existing in any other website. You can convert any image file, word, PowerPoint and Excel documents into the PDF documents by using this amazing online editing tool. Step 1: When you open the website, you will see an option “Upload File”. Click on it. Now select the option “Edit Online”. Step 2: Now your PDF file appears before you. You need to make the necessary changes in the file as shown in the images below. Now add text to the selected place. This is indeed one of the most wanted online PDF editing tool that requires no downloading and installation. You can use it for filling out the PDF forms, to edit and review the PDF documents online and to make text annotations to your PDF files. Step 1: It’s just simple. Upload your document first. 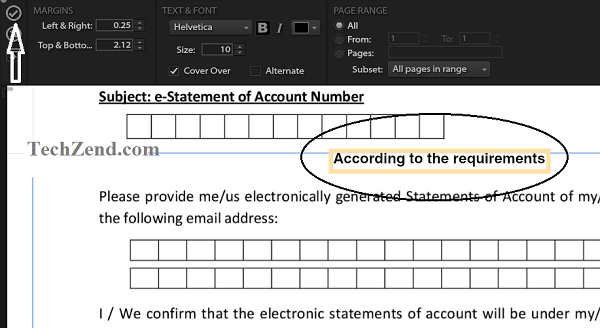 Step 2: Now Highlight the required text in your PDF file or edit text if you want. This is an amazing website that helps you in opening and editing PDF online. It does not require downloading or installation of software. You just need to upload your PDF file, open and then edit the points you want to. The only requirement for it is an internet connection and a browser. Step 1: Upload the PDF file you want to edit. Step 2: It will take a few seconds and then the file appears before you. Now you can edit it according to your requirements. CutePDF Editor is basically a free online software that provides you PDF editing services free of cost. You do not need to pay any downloading cost for this editor. The only requirement for this PDF Editor is just Adobe Flash 11 or any advanced version. This is a wonderful tool that can open a file up to the size of 10 MB. It helps you in editing a file containing 1,000 plus pages quicker and easier. As far as its security or privacy is concerned, you get encrypted services. Here, on the website you will get two options. No Sign-up option means you do not want to leave the traces of your PDF file or records of editing on the website and so the tool does. This is absolutely a cloud-based, i.e. online service and helps in enhancing your performance without wasting time in downloading the PDF editing tools from various online resources. Yet, if you want to use its desktop version, you can also download it. Step 1: You need to upload your desired file. Step 2: That’s it. Start editing it as per the requirements. 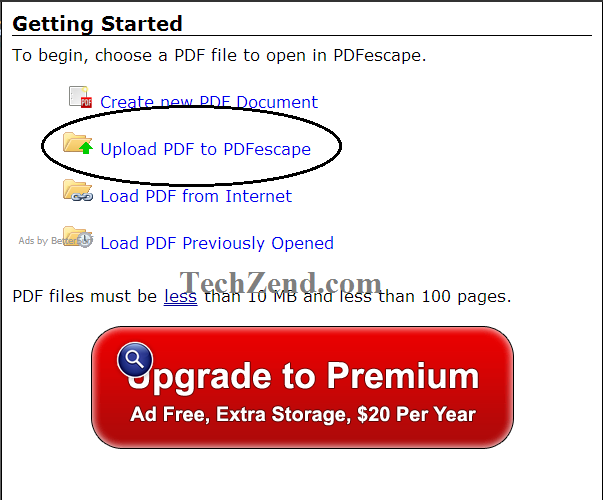 If you want to edit PDF online, PDFzen gives you more convenience for the best features it has. It does not only enables you to edit your PDF files without downloading any software, but also helps you in sharing your PDF files whether you want to share with some of your colleagues or want to publish them. You can add your comments, can highlight the important points and can collaborate the points you want. It is a wonderful tool that has been designed not only for desktop PCs, but also for tablets and phones. PDFzen is absolutely free of cost. Step 1: Just upload the PDF file where you want to make some changes. Step 2: Once you have done so, you need to use the tools such as highlight, adding comments, etc. Below image shows how to highlight the important text into any PDF file. PDFfiller is surely a superb online tool for the users who do not want to waste their time in downloading and installing PDF editing software. It helps you in editing the files from Word, PowerPoint, PDF and even Notepad. You can browse the files not from your desktop PC, but also from your email account and from the Cloud. Step 1: First, you need to upload the file by using the “Browse” option. Step 2: Now you can add the text, change font size or the number of pages as per your requirements. The users who prefer to edit PDF online will be astonished to experience the speedier and quicker PDF editor that allows you to view all of your important PDF files without downloading any PDF editing and viewing software. You can add images, shapes and text annotations in the PDF file and even you can merge various PDF files by using it. Click the option “Click Here to Start” at the website and select the PDF file you want to change. If the file does not exist in your system and you need to upload it from any other site, you need to give its URL. Now your required PDF file will open on your screen. 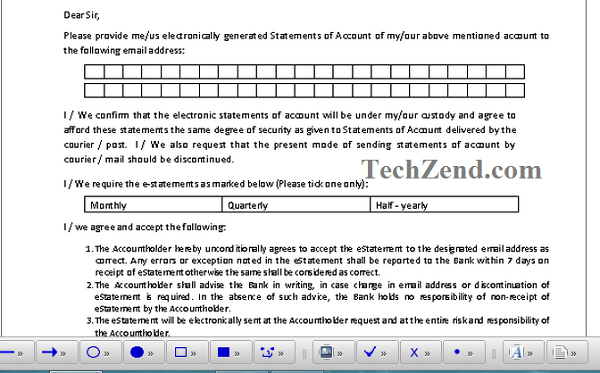 Edit the required section or statements of the file. Online PDF Converter is a wonderful tool that converts all of the documents with “docx, xlsx, pub, txt, rtf, ppsx and ps” extensions into PDF files quickly. You can edit any PDF file, merge it, convert any image file with “tif, png, jpg and bmp extension into a PDF file. It gives you an ease while you are at work. It allows you to merge 20 files into your current file while you are working on it. Step 1: You just need to click the “Browse” option that lies under the category “Select File” as it has been shown in the image below. Step 2: Once you have uploaded the PDF file, there will appear various options where you can select if you want to reset the pages or you want to put a password to this file.